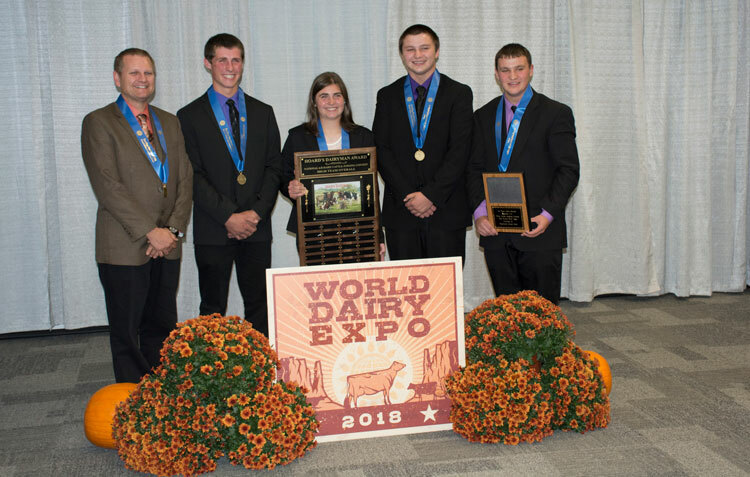 Just one point separated the top two teams, with Wisconsin winning the National 4-H Judging Contest at World Dairy Expo for the second year in a row. The team from Wisconsin came out on top of the 24 4-H teams competing in the National 4-H Dairy Cattle Judging Contest, sneaking past Minnesota by just one point. 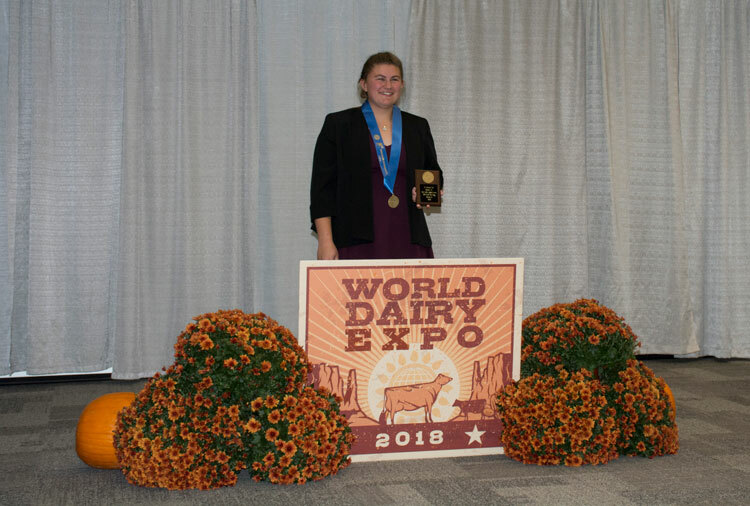 It was a repeat win for Wisconsin 4-H, as the team repeated its 2017 success and finished on top of the 2018 National 4-H Contest at World Dairy Expo. This year’s team hailed from Green County, Wisconsin, and featured two sets of siblings — Rachel and Brian McCullough and Clayton and Cole Mahlkuch. They were coached by Mike Marean. Brian McCullough led the team as second high individual in the contest. He was also fourth in oral reasons and fourth in the placings-only contest. Rachel McCullough finished the day in 12th place, with second-place honors in the placings-only contest. Teammate Cole Mahlkuch finished in 22nd and earned All-American honors along with the McCullough siblings. The slimmest margin separated the top two teams, with Minnesota 4-H finishing in second place with just one point less than the Wisconsin team. Minnesota’s top judge of the day was Jay Dicke, who finished in third place. He was followed closely by teammate Kjersten Veiseth, who placed fourth individually. Their other teammates were Owen Scheffler and Madelyn Wehe. They were coached by Tony Scheffler. The team from Maryland placed third. Colorado 4-H finished in fourth, while Pennsylvania 4-H earned the fifth team spot. Awna Hirsch, a member of the fourth-place Colorado 4-H team. The top individual of the day was Awna Hirsch, a member of the fourth-place Colorado 4-H team. She had a great day, finishing first overall, first in the placings only contest, and second in reasons. She also placed in the top 10 individually for five of the six breed contests. Also having an outstanding contest was Ainsley Peterson of the Florida 4-H team. She earned the top score in the Brown Swiss and Guernsey breeds, and she was the first place finisher in the oral reasons contest. She placed fifth overall. Peterson and her teammates from Florida earned top honors in the reasons portion of the contest. Kentucky 4-H placed second in reasons, with team member Sydney Warren placing third individually. Vermont 4-H was third, led by team member Isabel Hall who placed fifth individually. New York followed in fourth place and Pennsylvania finished in fifth. A total of 91 individuals from 24 teams judged 10 classes and gave five sets of reasons during the competition. Congratulations to all 4-H members who participated in the 2018 contest! 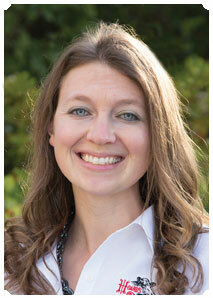 The author is an associate editor and covers animal health, dairy housing and equipment, and nutrient management. She grew up on a dairy farm near Plymouth, Wis., and previously served as a University of Wisconsin agricultural extension agent. She received a master’s degree from North Carolina State University and a bachelor’s from University of Wisconsin-Madison.